Roy John Pegg, Age 85, passed away peacefully at his home in Pasadena, surrounded by his family. Roy was born on May 17, 1933 in Bloomsburg, PA to Kimber and Pearl Pegg. In 1956, he met the love of his life, Marlene Penman (Pegg), and they married shortly after, in 1957. Roy and Marlene remained happily married for 62 years. Roy and Marlene moves to Pasadena, MD in 1959, where they built their lives and had three children: Steven, Vicki (Heins), and Michael Pegg. 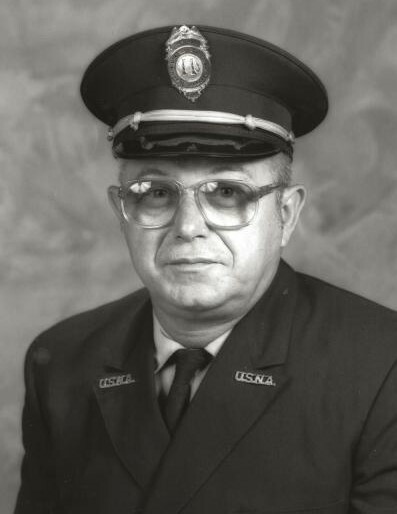 Roy joined the Naval Academy Fire Department in Annapolis in the early 1960’s, where he eventually ranked to Captain. After 28 years of service, he retired from the fire department and found work as a grounds keeper at Anne Arundel Community College. Roy remained with the college for 10 years, eventually being named assistant supervisor. Roy enjoyed fishing, crabbing, spending his pension at the casino, and traveling to Disney World in Orlando, FL to visit with his favorite character- “Grumpy” from Snow White and the seven dwarfs. There’s nothing that Roy enjoyed more in his later life then spending time with his grandchildren: Jessica Crouse, Jonathan Pegg, Christopher Heins, Michael Pegg, Samantha Andes & Victoria, Dane and Garrett Pegg, however, they were eventually superseded by the births of his great grandchildren- who knew him as “Packy”- Brayden & Mason Crouse, Codie & Hunter Pegg, and Dominic & Dylan Andes. He will be truly missed by all. Family and friends are invited to call at the family owned and operated McCULLY-POLYNIAK FUNERAL HOME, P.A. 3204 Mountain Road (PASADENA) on Friday March 29, 2019 from 2-4 & 6-8 PM. Services and Interment are private.